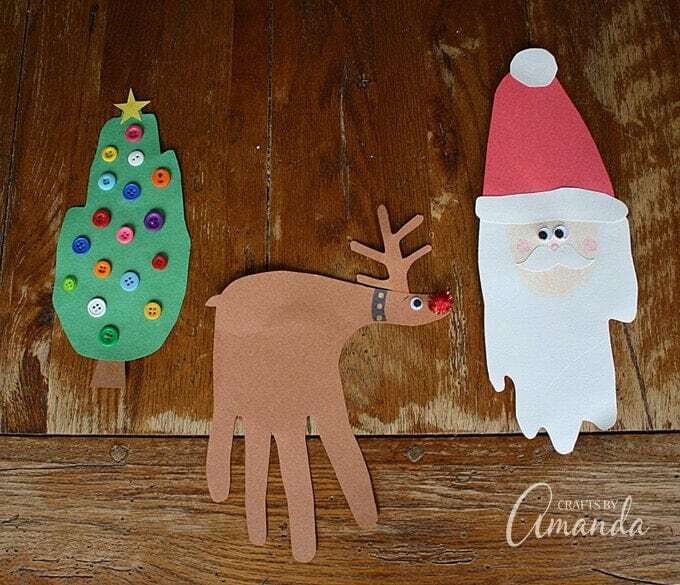 Kids Christmas Crafts to DIY decorate your holiday home! 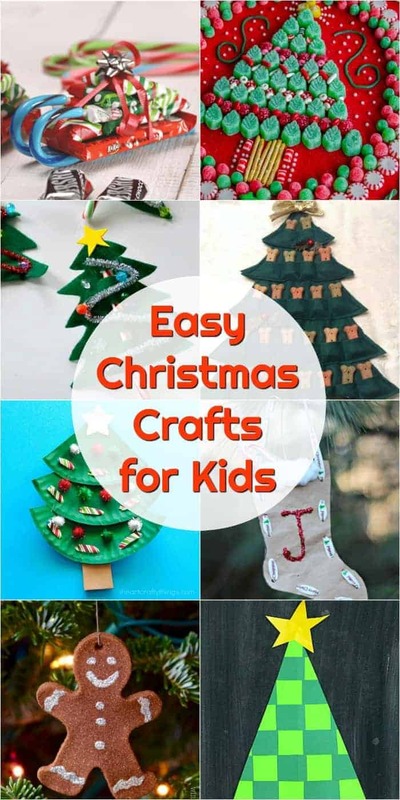 Home » Holidays » Christmas » The Best Ever Kids Christmas Crafts! 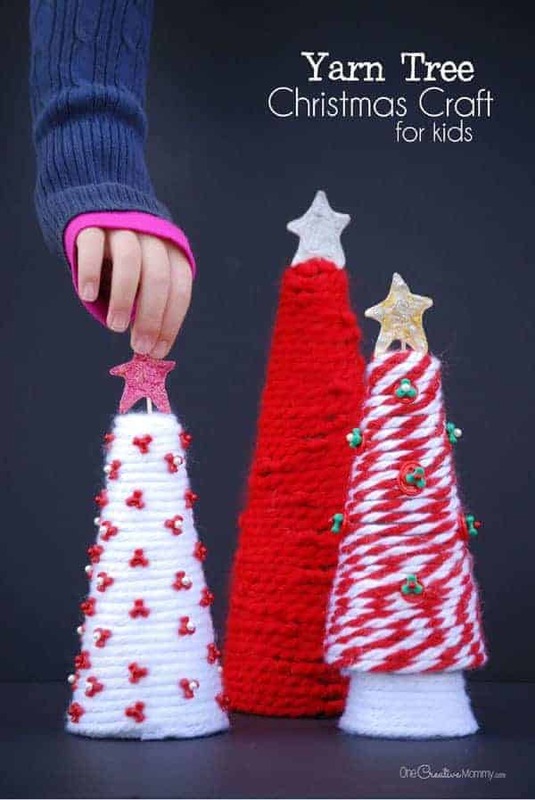 Kids Christmas Crafts That Totally Rock! Grab the paper, glue and sparkles, because these EASY Christmas Crafts for kids are the perfect winter activity! Make the most wonderful time of year a season to remember with holiday crafts designed to inspire your festive little artists. 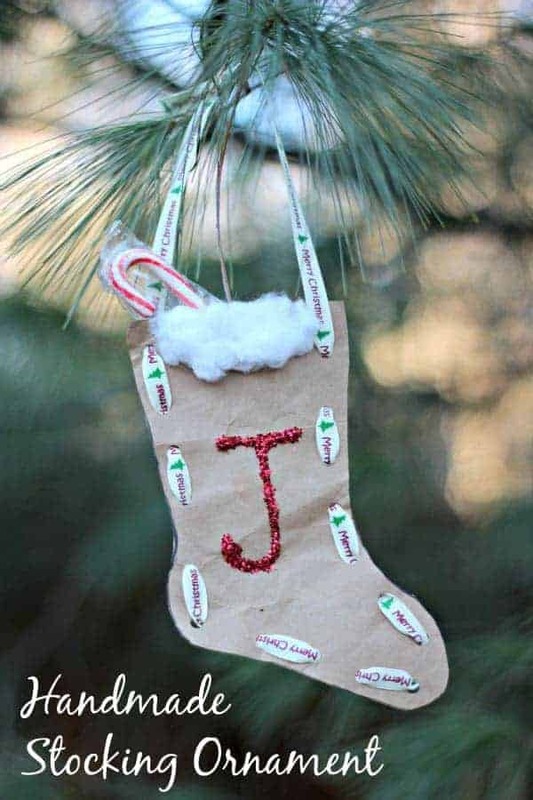 Who doesn’t love a great kids Christmas crafts (they are even great for adults!)? With a touch of glitter and glue, you can embellish your holiday handiwork and celebrate the tradition of Christmas crafting. These creative mementos will become part of your family’s treasured memories. So, grab a mug of hot chocolate and gather your little ones around the craft table for a winter-wonderful time. 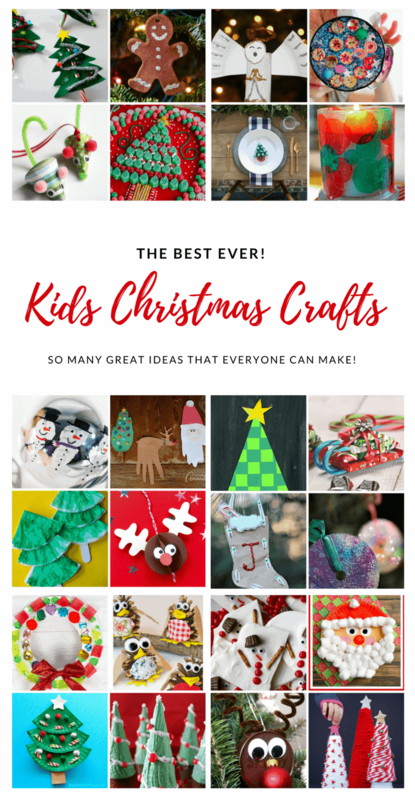 There are tons of great kids Christmas Crafts! Be sure to keep scrolling down to see them all! 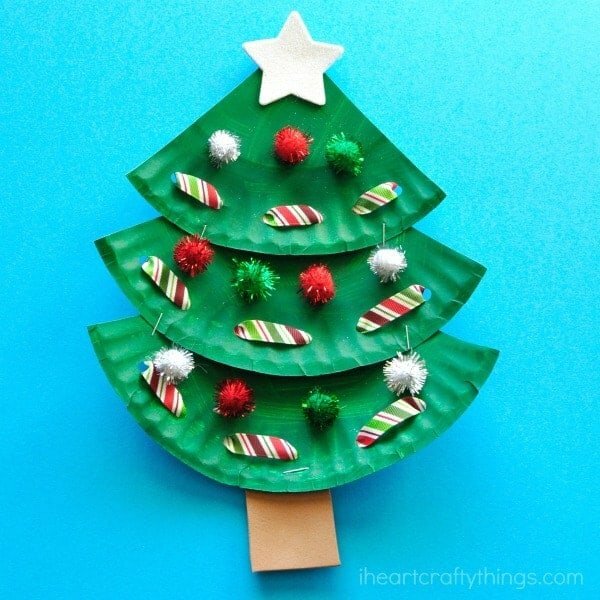 Use a few paper plates and embellishments to make a paper plate lacing Christmas tree. 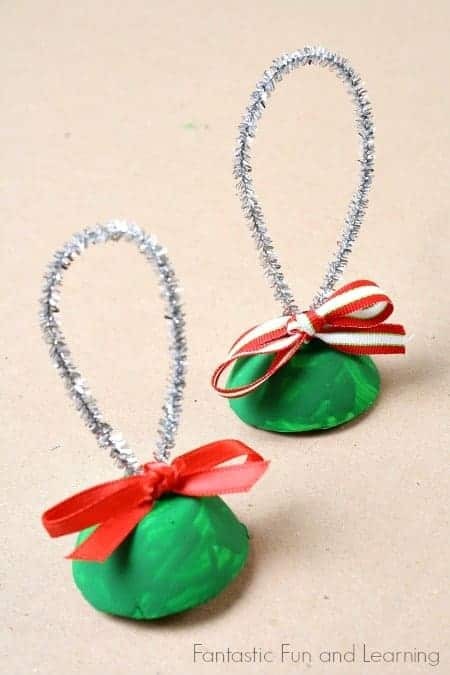 I Heart Crafty Things has come up with an adorable kids Christmas craft idea that will help you little one with their fine motor skills while they create! 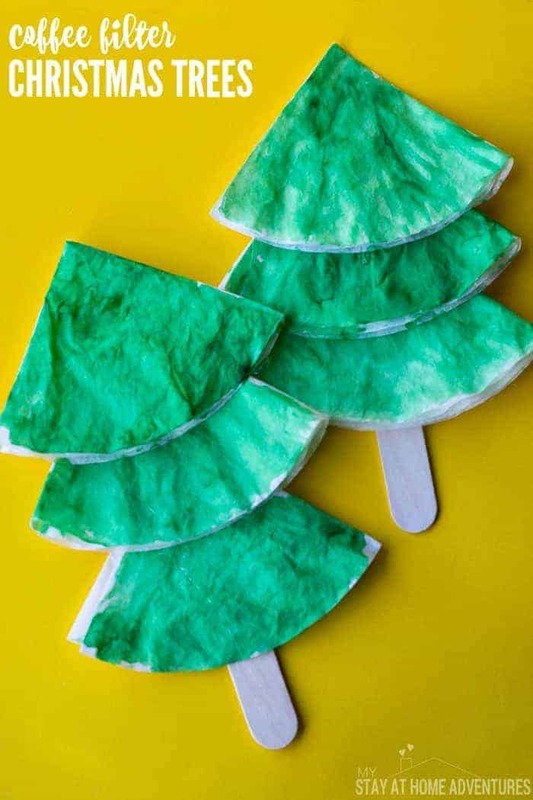 Break out the ice cream cones and let your kiddos create their own Christmas tree. 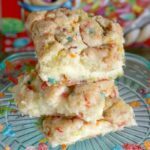 They will enjoy making their masterpiece and they can eat it, too! I love a craft that also serves as a snack. 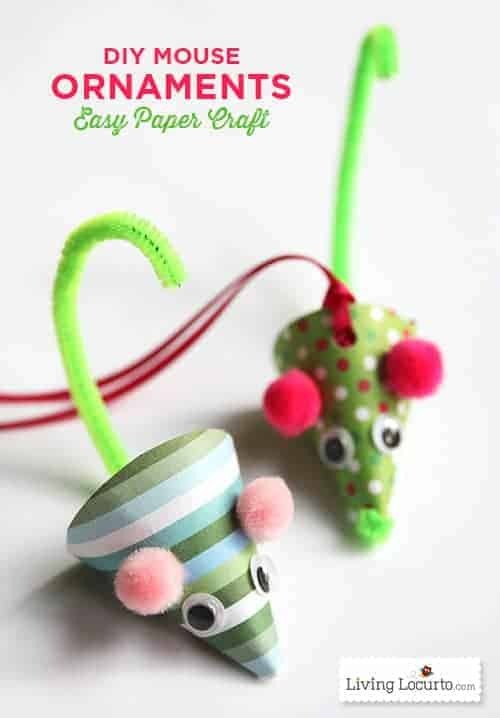 Happy Hooligans shares a great recycled craft idea. 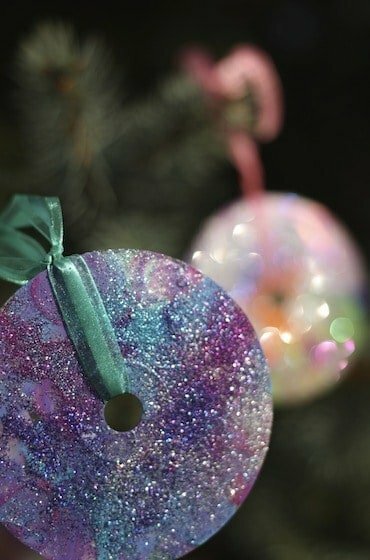 She takes old CD’s and turns them into Christmas tree ornaments by painting them and adding glitter. 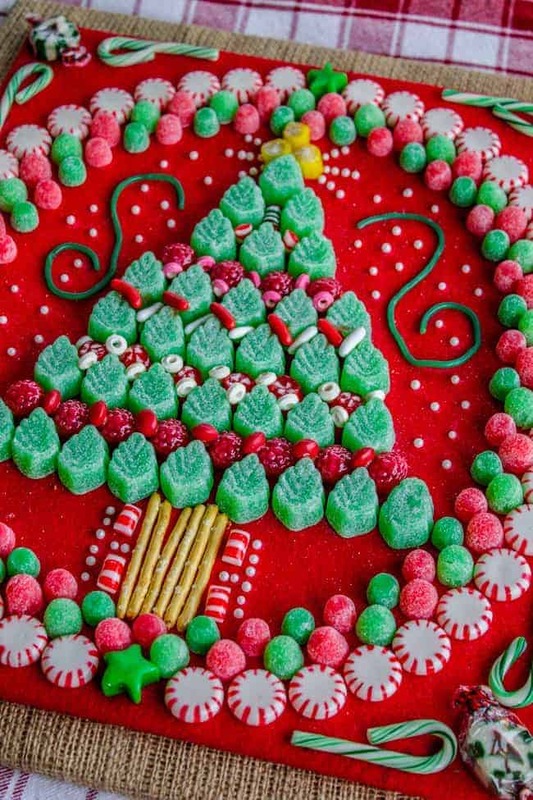 This Christmas craft for kids looks to be out of this world! Use egg cartons and transform them into Christmas bells. 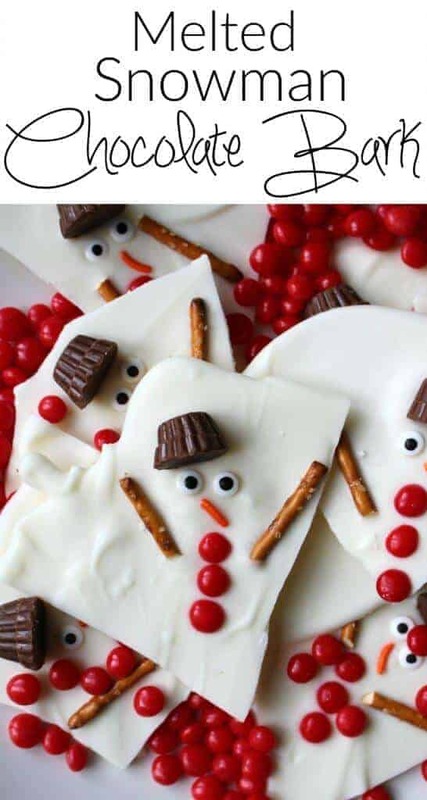 This is such a sweet holiday craft idea from Fantastic Fun and Learning. Crafts by Amanda shows us that hands can be beautiful works of art. Use your child’s handprint to make a tree, wreath, reindeer or even Santa! It doesn’t get any more personal than this folks! 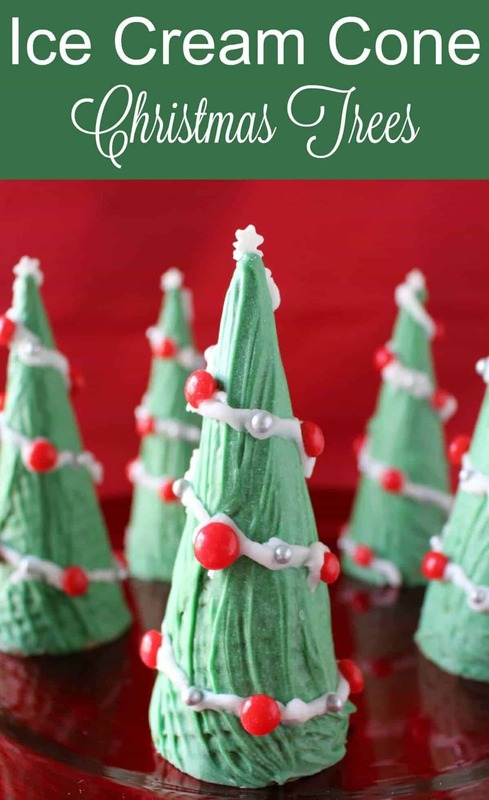 Break out your craft supplies for this wonderful Christmas craft idea for kids that is sure to be a stash-busting sensation. 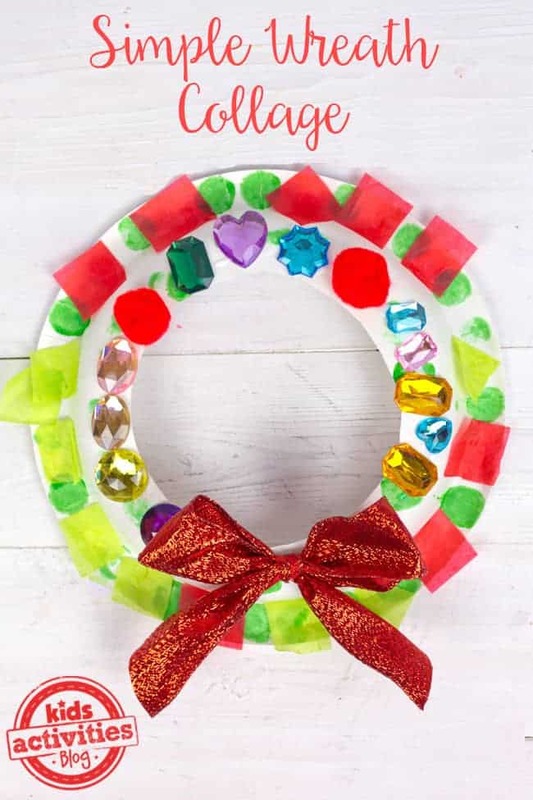 Kids Activities Blog shows us how to help your kids make a beautiful wreath out of just about anything you may have around the house. It is time to clean out those bits and pieces in the craft room! Simple Fun for Kids has such a cute idea for the kids… a snowmen fingerprint ornament. 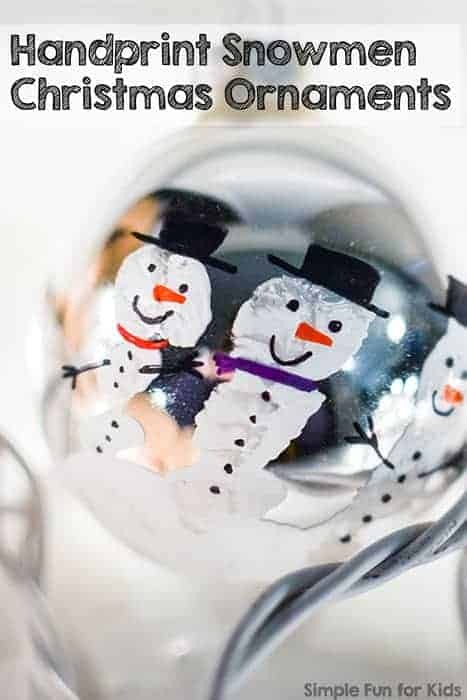 All you need is an ornament and craft paint your kids can make their own family of snowmen. If you like this, then see my great handprint and footprint crafts. 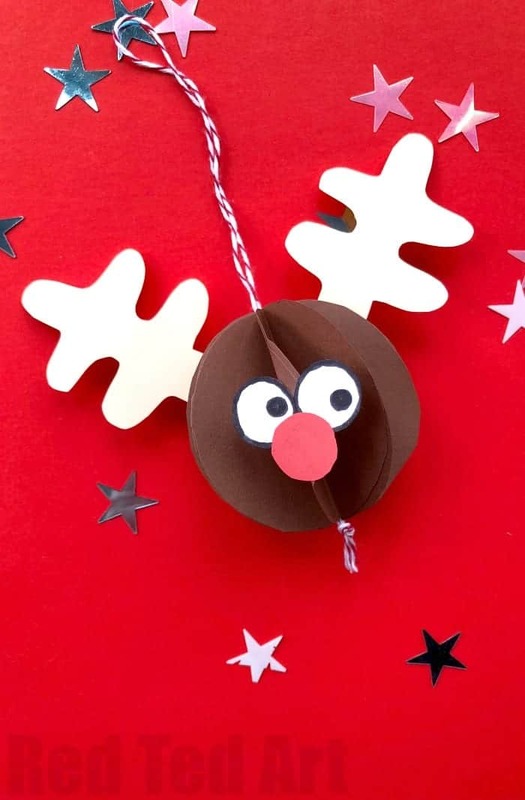 Make this simple, but oh-so-cute paper rudolph ornament by Red Ted Art. 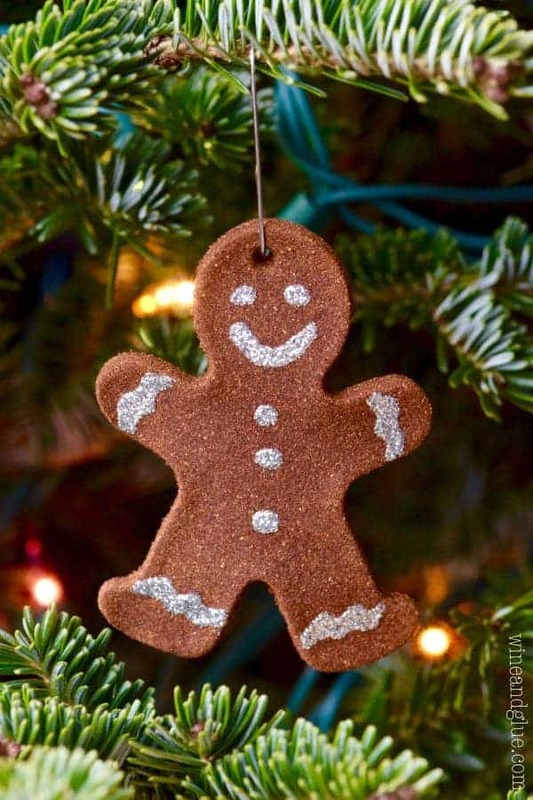 This little guy would look perfect on any tree and he looks like he would be pretty fun to make, too! 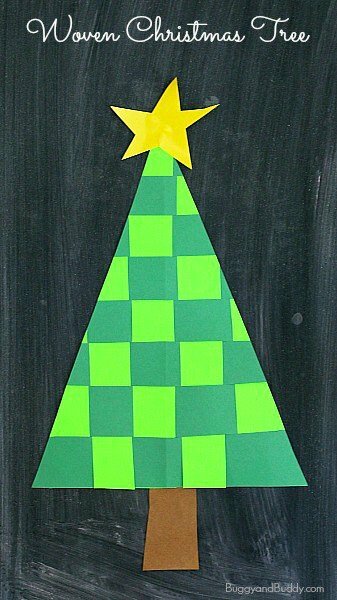 I love a dimensional piece of art and this woven paper Christmas tree gives off a second dimension when multiple greens are used. Buggy and Buddy show us how to create our own paper weaving tree. So very pretty! 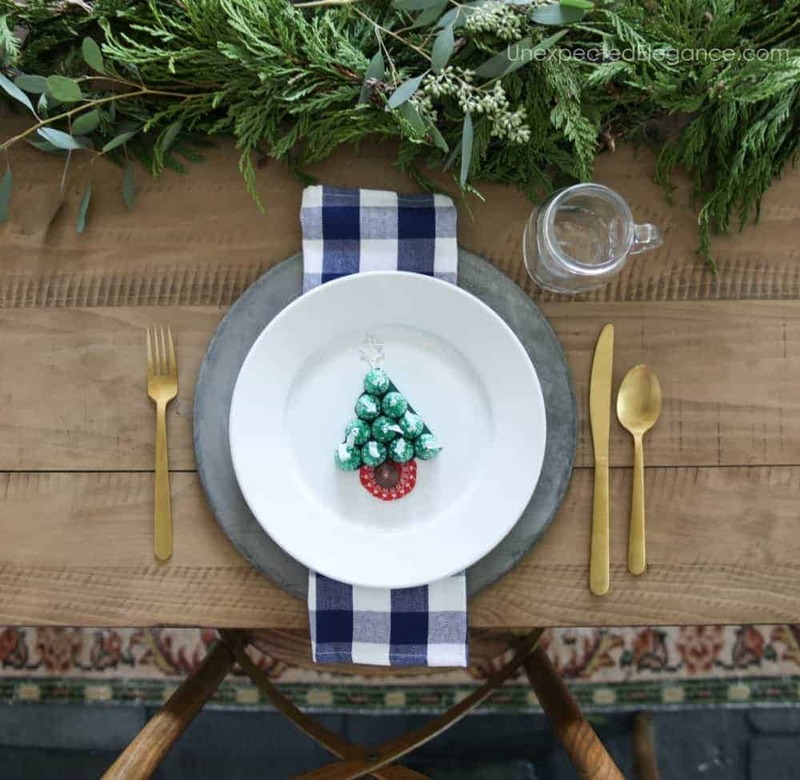 The kids have all the fun, especially at this sweet kids table by Unexpected Elegance. I love that the kids can help set the table and then eat their fun, too! 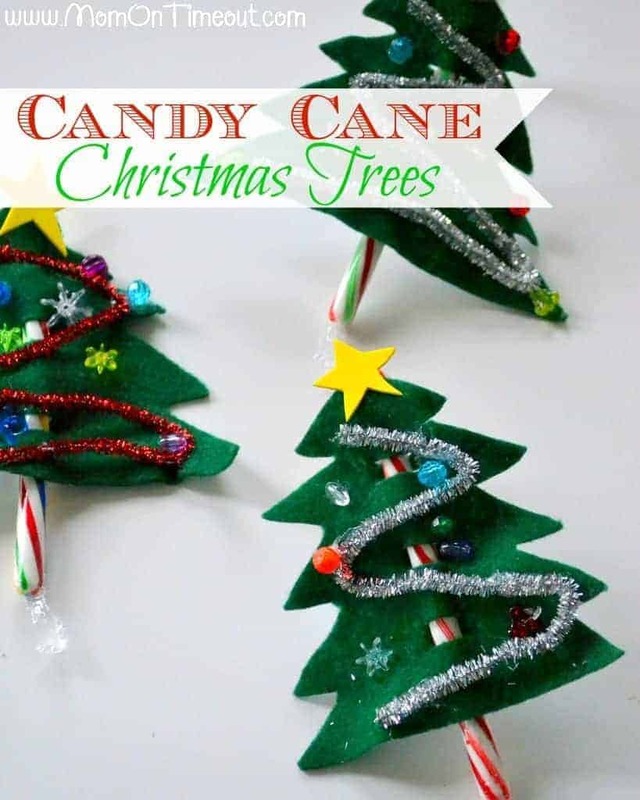 These candy cane sleds are the perfect gift that your kids can actually make. 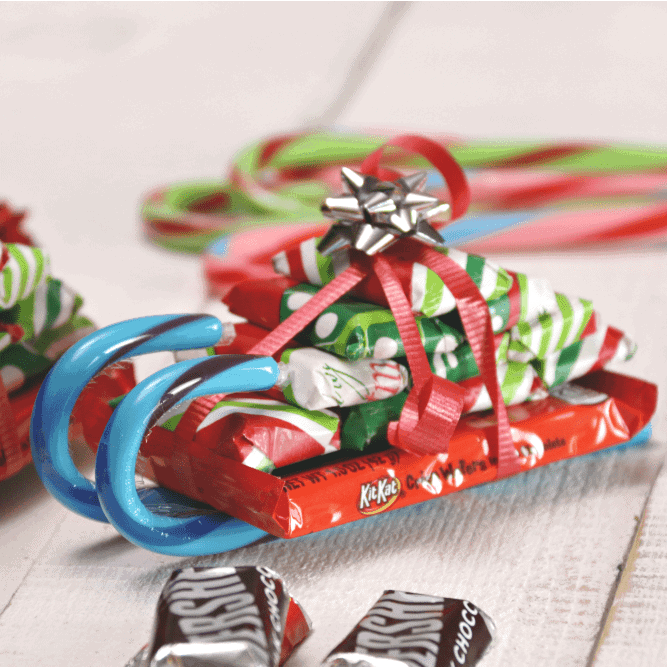 Grab wrapping paper remnants, candy bars and a few candy canes and let your builder go crazy making a sled. 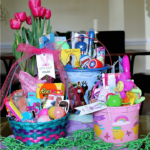 This is such a fun ideas for your child to make for their teacher or even their friends. Anything Can Make An Ornament! Little Bins for Little Hands shows us how to give this Rudolph ornament a very shiny nose. Do you see what he is made from? 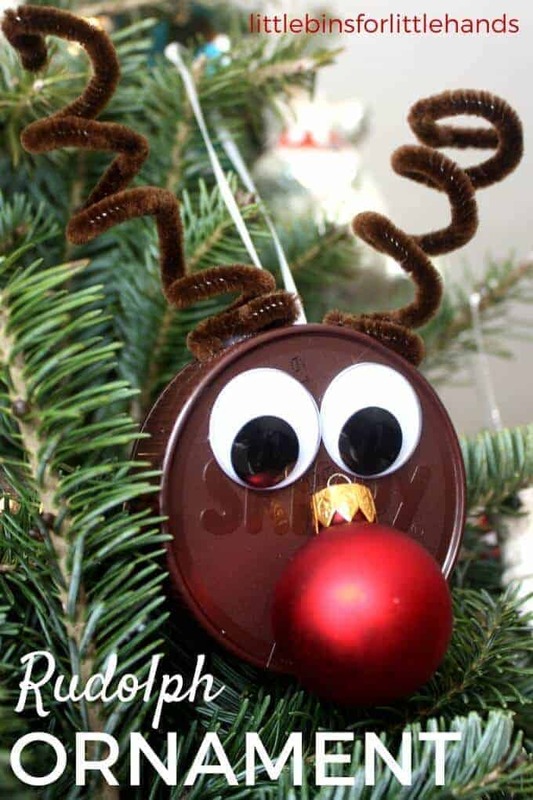 I see a peanut butter lid and I see a very inexpensive craft for the kids, too! 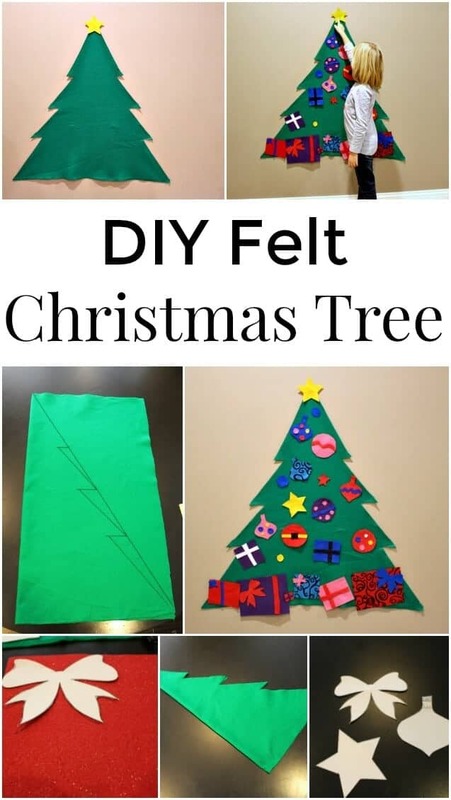 This DIY Felt Christmas Tree is not only a fun craft, but a great activity too! Keep those little one’s from rearranging the ornaments on the family tree, by giving them their very own to play with! 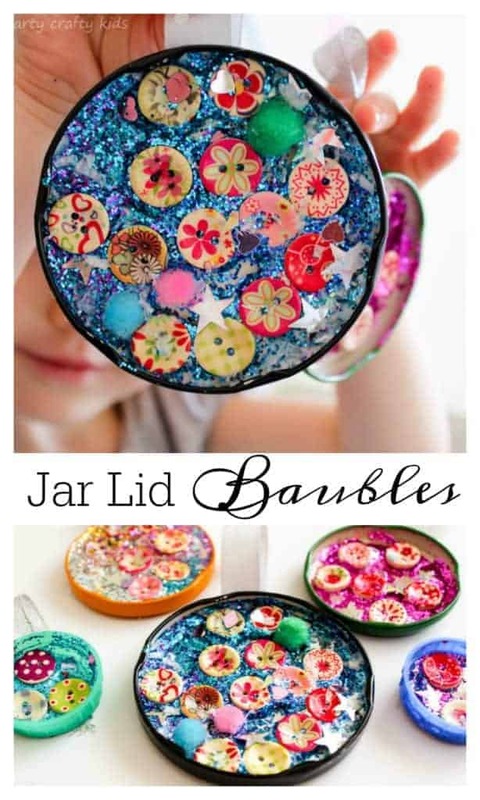 Use those leftover lids to make gorgeous baubles and ornaments for Christmas. Arty Crafty Kids shows how you can use leftovers from the kitchen to create beautiful Christmas decorations with the kids. I have so many lids in my cabinets that I can use to make these! 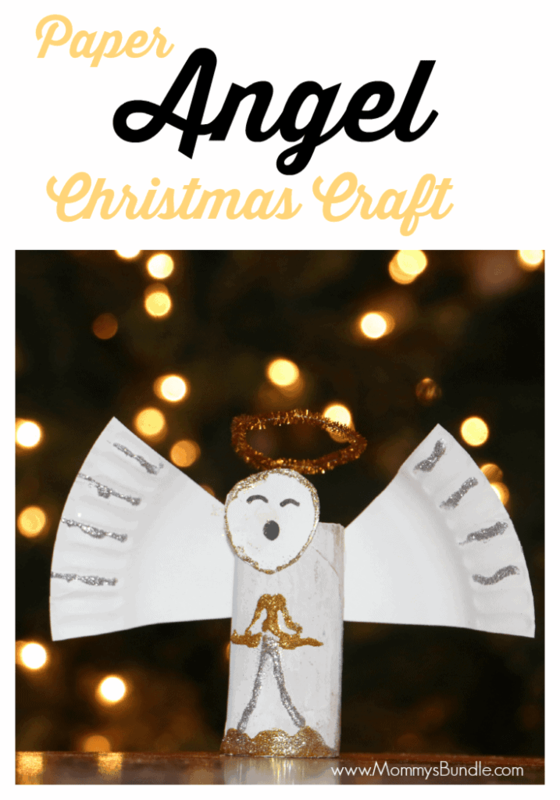 With help from Mommy’s Bundle, your little angels can make their own angel craft. I love how pretty these are and they would be beautiful displayed in your home. There is nothing more child appropriate during the holidays than angels. I love them! Edible crafts are so fun. Your kids can help make their own melted snowman bark. This is really an adorable treat that is pretty enough for gift giving. Do you want to build a melted snowman?! Grab a glass candle or candleholder and your kids. This is such a great idea for a handmade gift from your children. 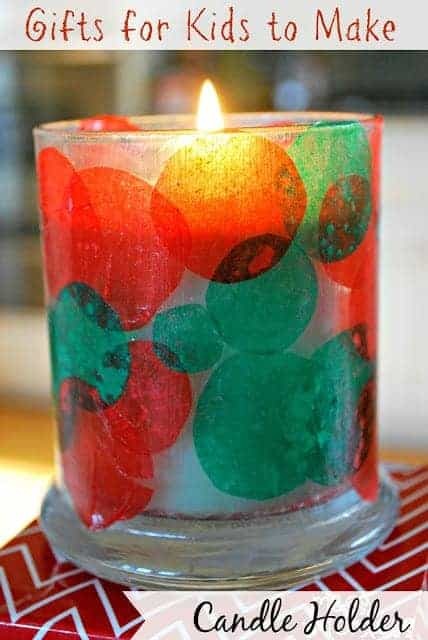 Mess for Less shows us how our kids can personalize candles in just a few simple steps.